The Book Bank is the student resource for all the Course Books that a student may require for his academic pursuits from Class 5 to Class 12. The Book Bank offers issuing of books and also provides all enrolled students with all his course books for a period of one year. 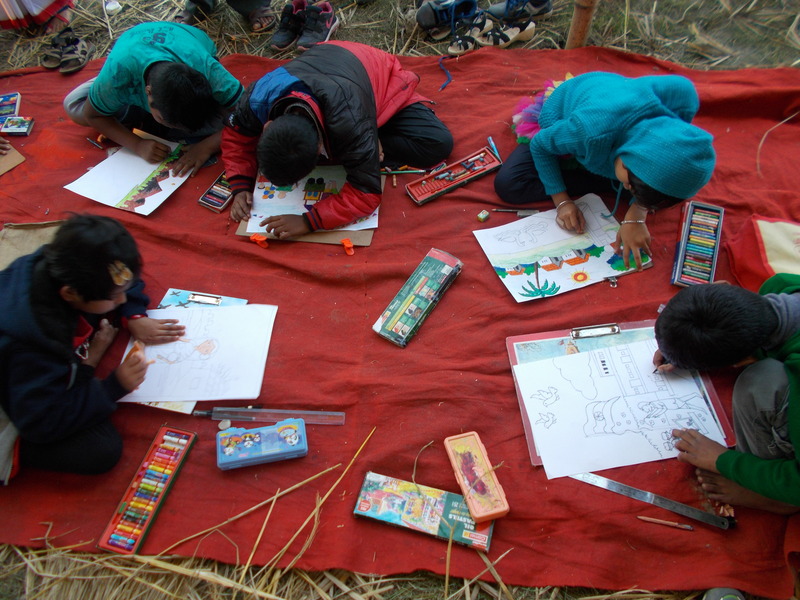 Our books go to children, the ill, and the indigent, in places where there is no access to books. 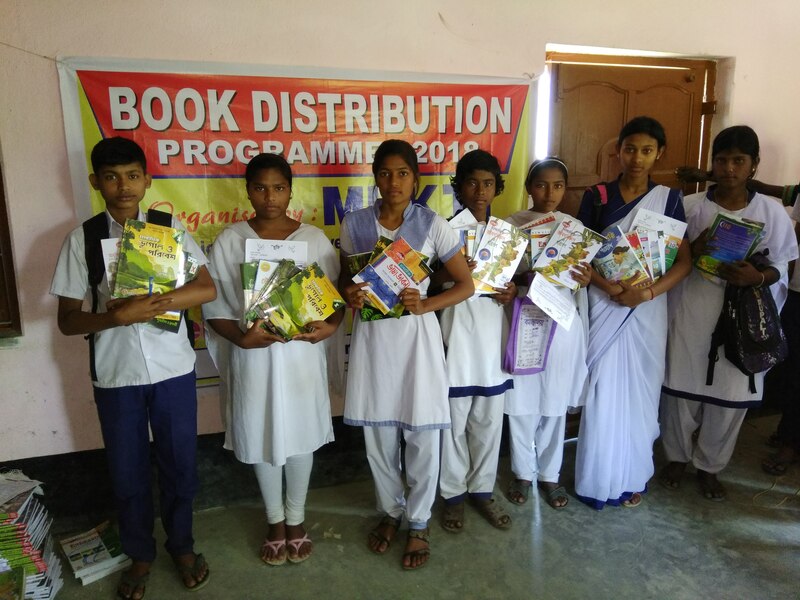 The Purpose of Book Bank project is to keep Mukti’s inventory of books current and ensure the organization has the capability to properly distribute the textbooks among all needy people of this area. 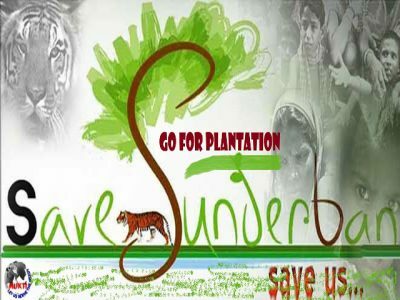 The Sundarbans is beautiful with its natural views and charming ecosystem, but the inhabitants of this delta are financially challenged because of the lack of all basic infrastructures. 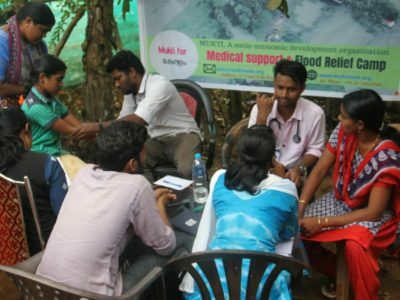 While average person is poor, illiterate and lack good health care, the economic backwardness as well as rampant diseases is not only because of lack of infrastructure and health care but also due to lack of awareness, which is a result of illiteracy. It has been found that only 25-30% of the entire mass is literate. In a study of one of the deltas comprising 40,000 villagers, it has been realized that the communication system to the main land is mostly dependent on slow-speed boats, which take 3-4 hours for the 12-15 KM journey. Hence it is difficult for students to travel to the mainland for their education. Being average people poor they can not provide adequate fund for their child education. It is also found that many students could not buy their school text-books even for their regular school study. 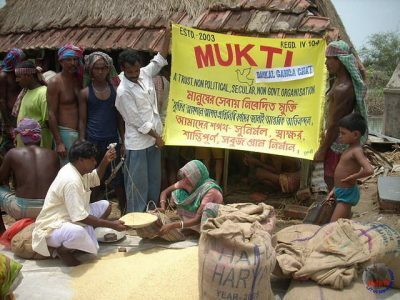 To promote literacy in the Delta and to support poor student in the region, MUKTI has decided to setup a Book Bank for the students of this area to facilitate them with education. During 2015-16, 4,597 students received books under Book Bank projects. Below shows the distribution of these books among various grades. 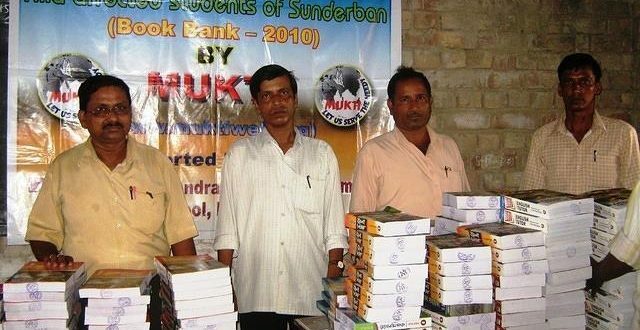 Mukti Book Bank 2010 – Ambika Nagar Haripriya high school, Maipith, Sunderban. Book Bank 2010-Jata Jogendrapur Higher Secondary school. Baikunthapur Higher Secondary school (Book Bank-2012). 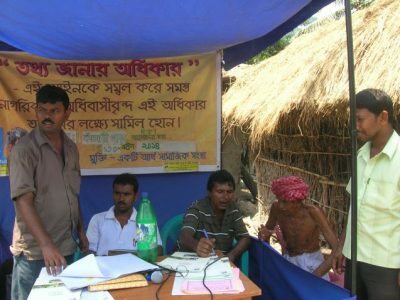 Mukti Book Bank 2010 - Ambika Nagar Haripriya high school, Maipith, Sunderban.